John Rodrigo Dos Passos (January 14, 1896 — September 28, 1970) was an important twentieth-century American novelist and artist. He was both a social and artistic revolutionary, supporting socialist causes while helping to redefine narrative fictional techniques. However, after a trip to the Soviet Union he began to distance himself from the Stalinist practices he witnessed there. One of the first American writers to use the stream of consciousness technique, his blending of historical artifacts with fictional characters helped to create a greater sense of versimilitude and increased the sense of the novel's historical importance. This technique has been often copied and is a staple of modern narrative. Dos Passos was born in Chicago, where his father was a wealthy lawyer of Madeiran Portuguese descent who could afford to give him the best education. In 1907, he was sent to study at The Choate School in Wallingford, Connecticut, then went with a private tutor on a six-month tour of France, England, Italy, Greece, and the Middle East to study the masters of classic art, architecture, and literature. In 1913, he attended Harvard University. Following his graduation in 1916, he traveled to Spain to study art and architecture. With World War I raging in Europe and America not yet participating, Dos Passos volunteered in July 1917 for the S.S.U. 60 of the Norton-Harjes Ambulance Corps, along with friends E. E. Cummings and Robert Hillyer. He worked as a driver in Paris, France, and in north-central Italy. By the late-summer of 1918, he had completed a draft of his first novel. At the same time, he had to report for duty with the U.S. Army Medical Corps at Camp Crane in Pennsylvania. At war's end, he was stationed in Paris, where the U.S. Army Overseas Education Commission allowed him to study anthropology at the Sorbonne. One of Dos Passos' characters in the U.S.A. trilogy goes through virtually the same military career and stays in Paris after the war. Considered one of the Lost Generation writers, Dos Passos' first novel was published in 1920. Titled, One Man's Initiation: 1917, it was followed by an antiwar story, Three Soldiers, which brought him considerable recognition. His 1925 novel about life in New York City, titled Manhattan Transfer, was a commercial success and introduced experimental stream-of-consciousness techniques into Dos Passos' method. A social revolutionary, Dos Passos came to see the United States as two nations, one rich and one poor. He wrote admiringly about the Wobblies and the injustice in the criminal convictions of Sacco and Vanzetti and joined with other notable personalities in the United States and Europe in a failed campaign to overturn their death sentences. In 1928, Dos Passos spent several months in Soviet Union studying their socialist system. He returned to Spain with Hemingway during the Spanish Civil War, but his views on the communist movement had already begun to change. Dos Passos broke with Hemingway and Herbert Matthews over their cavalier attitude towards the war and their willingness to submit their names to Stalinist propaganda efforts. Over his long and successful career, Dos Passos wrote 42 novels, as well as poems, essays, and plays, and created more than 400 pieces of art. His major work is the U.S.A. trilogy, comprising The 42nd Parallel (1930), 1919 (1932), and The Big Money (1936). 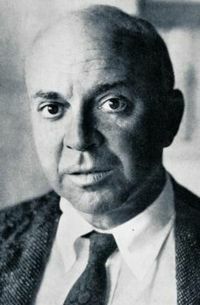 Dos Passos used experimental techniques in these novels, incorporating newspaper clippings, autobiography, biography, and fictional realism to paint a vast landscape of American culture during the first decades of the twentieth century. Dos Passos' political and social reflections in the novel are deeply pessimistic about the political and economic direction of the United States, and few of the characters manage to hold onto their ideals through the First World War. As Dos Passos grew older, he turned to the right politically. In the mid-1930s, he wrote a series of scathing articles about communist political theory. In The Big Money he created an idealistic Communist gradually worn down and destroyed by groupthink in the party. At a time when socialism was gaining popularity in Europe as a response to Fascism, Dos Passos' writings resulted in a sharp decline in international sales of his books. Nevertheless, recognition for his significant contribution in the literary field would come 30 years later in Europe when, in 1967, he was invited to Rome to accept the prestigious Feltrinelli Prize for international distinction in literature. Although Dos Passos partisans have long contended that his later work was ignored because of his changing politics, there is a consensus among critics that the quality of his novels drastically declined following the triumph reached with USA. Dos Passos' pioneering works of nonlinear fiction were a major influence in the field. In particular, Alfred Döblin's Berlin Alexanderplatz and Jean-Paul Sartre's The Roads To Freedom trilogy show the influence of his methods. In an often cited 1936 essay, Sartre referred to Dos Passos as "the greatest writer of our time." Perhaps the best-known work partaking of the cut-up technique found in U.S.A. is science fiction writer John Brunner's Hugo Award-winning 1968 "non-novel" Stand on Zanzibar, in which Brunner makes use of fictitious newspaper clippings, television announcements, and other "samples" taken from the news and entertainment media of the year 2010. Before becoming a leading novelist of his day, John Dos Passos sketched and painted. During the summer of 1922, he studied at Hamilton Easter Field's art colony in Ogunquit, Maine. Many of his books published during the ensuing 10 years used jackets and illustrations that Dos Passos created. Influenced by various movements, he merged elements of Impressionism, Expressionism, and Cubism to create his own unique style. His work evolved to more than just a minor hobby with his first exhibition at New York's National Arts Club in 1922 and the following year at Gertrude Whitney's Studio Club in New York City. U.S.A.: The 42nd Parallel, 1919, The Big Money (Daniel Aaron and Townsend Ludington, eds.) (Library of America, 1996) ISBN 1883011140. Novels 1920-1925: One Man's Initiation: 1917, Three Soldiers, Manhattan Transfer (Townsend Ludington, ed.) (Library of America, 2003) ISBN 1931082391. Travel Books & Other Writings 1916-1941: Rosinante to the Road Again; Orient Express; In All Countries; A Pushcart to the Curb; Essays, Letters, Diaries (Townsend Ludington, ed.) (Library of America, 2003) ISBN 1931082405. Ludington, Townsend. "John Dos Passos, 1896-1970: Modernist Recorder of the American Scene". Virginia Quarterly Review. Autumn 1996. Retrieved May 19, 2007. History of "John Dos Passos"
This page was last modified on 15 May 2018, at 19:44.